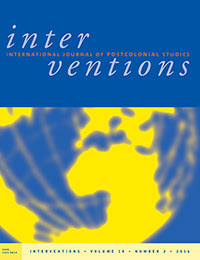 This special issue of Popular Communication: The International Journal of Media and Culture features digital migration research as first presented during the Connected Migrants Academy Colloquium and Masterclasses that took place December 14–16, 2016, at the Royal Netherlands Academy of Arts and Sciences (KNAW) in Amsterdam, the Netherlands. Koen Leurs and Sandra Ponzanesi organised the colloquium and they are guest editors for the special issue on connected migrants. In Revoltes in de cultuurkritiek staat de relatie tussen kunst en politieke transitie centraal. 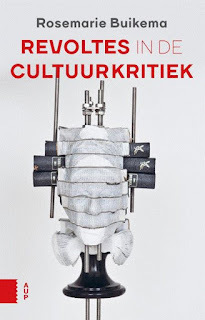 Van Virginia Woolf en Louis Couperus, tot aan Marlene van Niekerk en William Kentridge hebben kunstenaars en intellectuelen zich de afgelopen anderhalve eeuw gebogen over de vraag: hoe moeten we omgaan met een erfenis van uitsluiting en onderdrukking? Aan de hand van concrete kunstwerken demonstreert Rosemarie Buikema welke antwoorden op deze vraag geformuleerd zijn. Zij laat zien hoe kunst iets nieuws in gang kan zetten en sociale en culturele verhoudingen duurzaam kan veranderen. Zo kan kunst fungeren als een effectieve vorm van cultuurkritiek. Steeds opnieuw blijkt dat vernieuwingen en omwentelingen in kunst en maatschappij de meeste kans van slagen hebben als zij zich niet als een radicale breuk met het verleden presenteren (revolutie), maar als een proces waarin de kennis over het verleden wordt onderzocht, aangevuld, gecorrigeerd en/of omgebogen (revolte). Rosemarie Buikema is hoogleraar kunst, cultuur en diversiteit aan de Universiteit Utrecht. 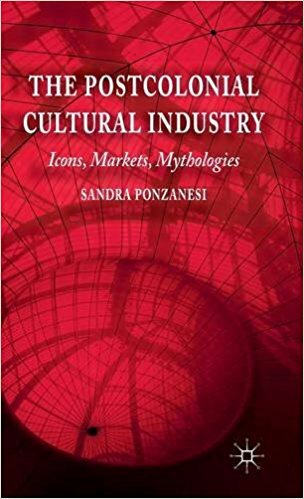 The book The Postcolonial Cultural Industry - Icons, Markets, Mythologies (2014) is now also available in paperback. 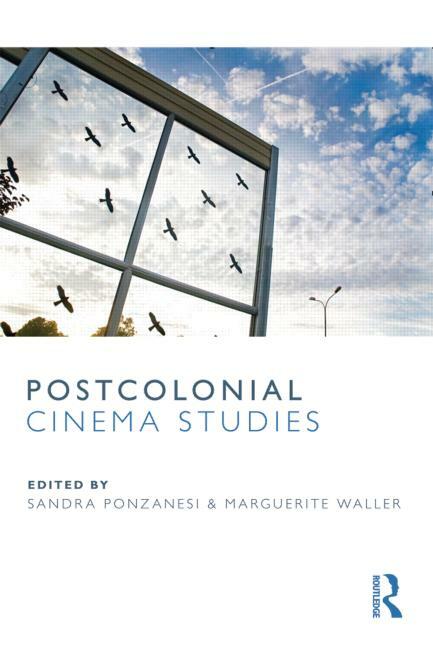 The Postcolonial Cultural Industry makes a timely intervention into the field of postcolonial studies by unpacking its relation to the cultural industry. It unearths the role of literary prizes, the adaptation industry and the marketing of ethnic bestsellers as new globalization strategies that connect postcolonial artworks to the market place. Free preview and buy your paperback here. 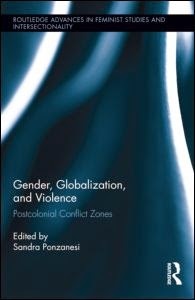 The book Gender, Globalization and Violence. Postcolonial Conflict Zones is now available as paperback. This wide-ranging collection of essays elaborates on some of the most pressing issues in contemporary postcolonial society in their transition from conflict and contestation to dialogue and resolution. It explores from new angles questions of violent conflict, forced migration, trafficking and deportation, human rights, citizenship, transitional justice and cosmopolitanism. Transnational migration and questions of identity are amongst the most powerful forces of social transformation in contemporary Europe. Hence, representations of migrant, exilic and diasporic experiences as well as the dynamics of postmodern multiculturalism have assumed a prominent position over the past three decades in European mainstream and art house cinema. Located between national, transnational and global modes of production, distribution and reception, these films not only rely on the colonial heritage of Europe’s past, but also on its present-day socio-political and cultural influences. Consequently, both the narration and aesthetics of the so-called ‘postcolonial cinema’ deal with the waves of migrants from Latin America, Africa and Asia moving into the European Union, with inclusion, exclusion and pluriethnicity as well as with modalities of representation and politics of encounter. Therefore the contributions in this special issue reflect three main key aspects (Europe, postcolonialism, and cinema) which are not separated terms but intertwined and connected with one an other in multiple ways, inflecting and generating a plurality of nuances. Read the introduction online (open access). Is the notion of postcolonial Europe an oxymoron? How do colonial pasts inform the emergence of new subjectivities and political frontiers in contemporary Europe? Postcolonial Transitions in Europe explores these questions from different theoretical, geopolitical and media perspectives. 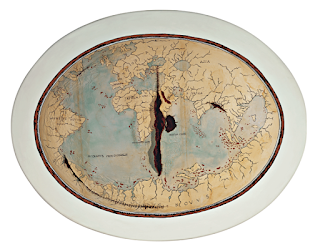 Drawing from the interdisciplinary tools of postcolonial critique, this book contests the idea that Europe developed within clear-cut geographical boundaries. It examines how experiences of colonialism and imperialism continue to be constitutive of the European space and of the very idea of Europe. 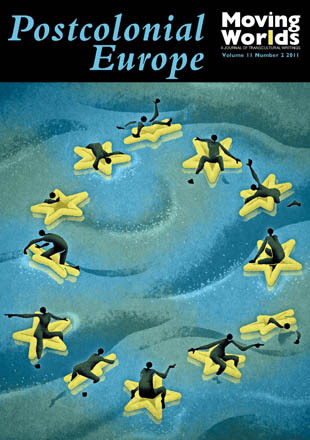 By approaching Europe as a complex political space, the chapters investigate topical concerns around its politics of inclusion and exclusion towards migrants, asylum seekers and refugees, as well as its take on internal conflicts, transitions and cosmopolitan imaginaries. With a foreword by Paul Gilroy. 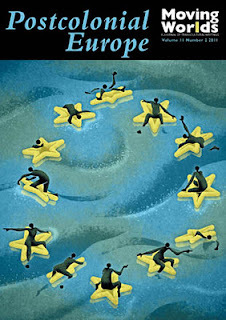 This beautiful collection of essays, presenting and surpassing the state of the art in postcolonial thinking about Europe’s troubled identity in the early 21st Century, makes it possible for us to understand the combined effects of cycles now meeting with their simultaneous ends: eurocentrism, nation-building and collective identification through stable borders. Clearly Europeis the Post-Colony par excellence. It could have invented a new, equalitarian Cosmopolitanism. Or will it? The authors ask this burning question through investigation and imagination. Fatima El-Tayeb, Professor of Literature, University of California San Diego, author of European Others. Robert Dainotto, author of Europe (in Theory). The point of Europe is a paradox that undermines the idea of Europe as a historical project based on singularity and exceptionalism while subscribing to the future of Europe as a location for hope and cosmopolitan solidarity. This special issue focuses, accordingly, on this double take by bringing together the complementary and synergizing expertise of postcolonial scholars who work across different disciplinary fields such as comparative literature, conflict studies, human rights, memory studies and international relations, as well as the arts, visual culture, music and cinema. 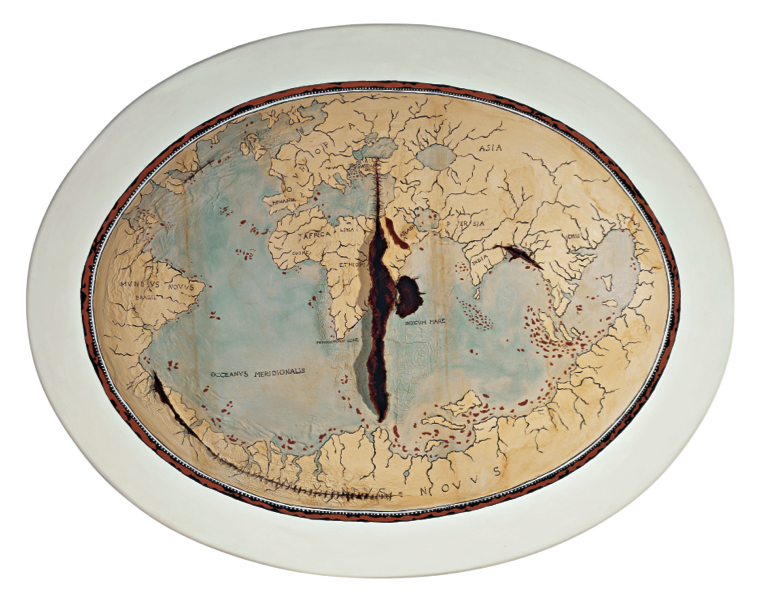 The goal of this special issue is to assess current postcolonial transitions through an ability to acknowledge the workings of the past and to rethink Europe as a new possible cosmopolitan space, yet rooted in its distinctive genealogy. On digital crossings in Europe’ explores the entanglements of digital media and migration beyond the national and mono-ethnic focus. We argue how borders, identity and affectivity have been destabilized and reconfigured through medium-specific technological affordances, opting for a comparative and postcolonial framework that focuses on diversity in conjunction with cosmopolitan aspirations. 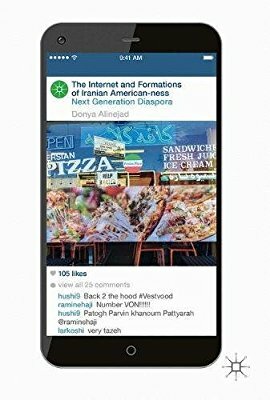 Internet applications make it possible to sustain new forms of diaspora and networks, which operate within and beyond Europe, making issues of ethnicity, nationality, race and class not obsolete but transformed. It is therefore important and timely to analyse how these reconfigurations take place and affect everyday life. 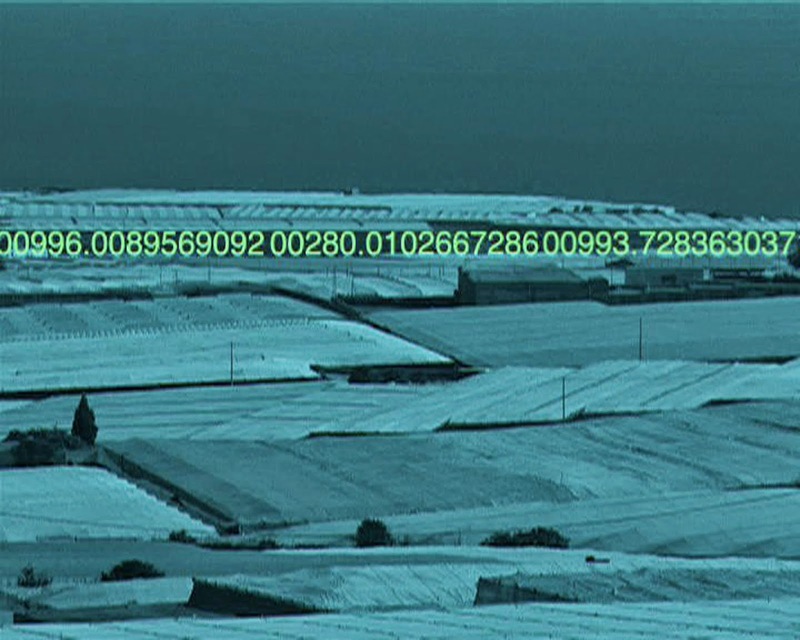 Using a critical approach to digital tools that avoids utopian notions of connectivity and borderlessness, this article highlights the dyssymmetries and tensions produced by the ubiquitousness of digital connectivity. It further introduces the different contributions to the special issue, making connections and tracing relations among themes and methods and sketching main patterns for further research. It also offers a panorama of other related studies and projects in the field, which partake in a critical reassessment of the enabling power of digital media and their divisive implications for new forms of surveillance, online racism and ‘economic’ inequality, which we gather under the heading of postcolonial digital humanities. 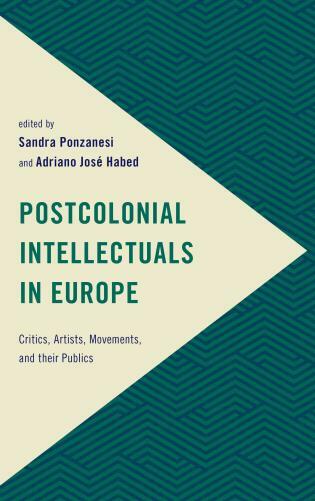 The Postcolonial Cultural Industry makes a much needed intervention into the field of postcolonial studies by unpacking its relation to the cultural industry. It analyses cultural productions not as aesthetic objects, or as pure disposable commodities, but as 'practices' that engage the local and the global in specific ways. 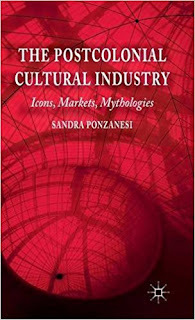 Starting from Theodor Adorno and Max Horkheimer's critical notion of the cultural industry, the book moves toward a more contemporary understanding of the cultural industry as a site of co-production, co-shaping and conflict between producers and consumers, marketing experts, readers and audiences, in order to arrive at a more dynamic and paradoxical take on the cultural industry as a cultural field, imbibed concomitantly by economic, political and aesthetic motifs. 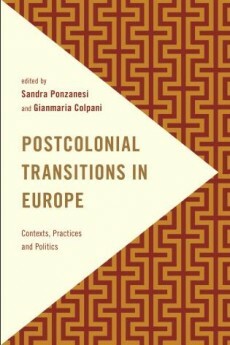 It explores how institutions such as literary prizes have influenced the level of production, consumption and distribution of postcolonial texts, how the adaptation industry has contributed to the economy of prestige and how ethnic feminist bestsellers convey new issues around postfeminism and the rearticulation of race, ethnicity, class and neo-liberal capitalism in local and transnational contexts. 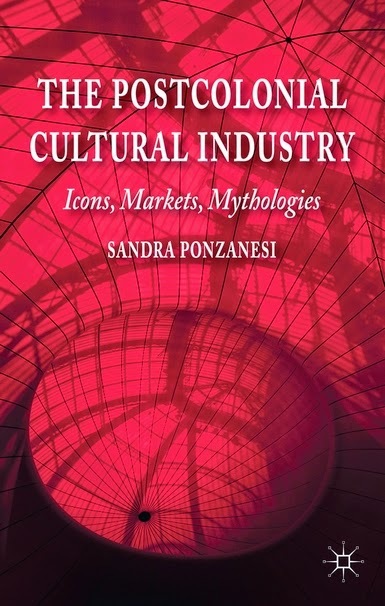 By connecting cultural analysis to marketing strategies and theories of globalization this book offers an invaluable contribution to the field of postcolonial studies, film studies, migration studies, gender studies, cultural studies and critical theory, among others. 6. Postcolonial Chick Lit: Postfeminism or Consumerism? Part II: Deconstructing Europe: Conviviality and Invisibility 5. 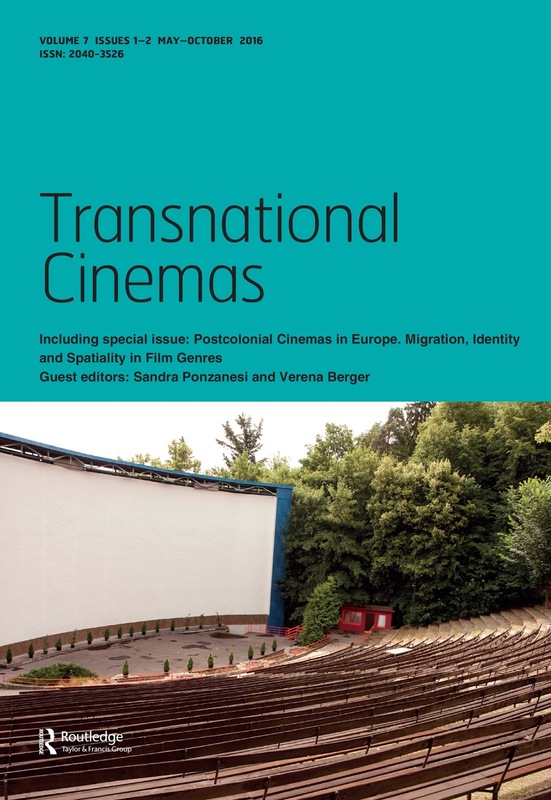 Europe in Motion: Migrant cinema and the politics of encounter Sandra Ponzanesi 6. Multiculturalism in a Selection of English and Spanish Fiction and Artworks L. López-Ropero and A. Moreno-Álvarez 7. Adrift on the Black Mediterranean Diaspora: African Migrant Writing in Spain Esther Sanchez-Pardo 8. "Rented spaces": Italian postcolonial literature Manuela Coppola 9. "Dubbing di Diaspora": Gender and Reggae Music inna Babylon Sonia Sabelli Coda: Workings of whiteness: Interview with Vron Ware Conducted by Bolette B. Blaagaard. 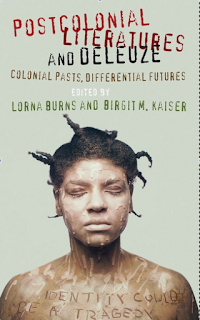 This volume brings together articles on utopia and dystopia in a breadth of disciplines-history, literature, gender studies, political science, sociology, anthropology, and Native American Studies. Utopia and dystopia are modes and resonances present in all parts of the world, not just Europe and white North America. Equally, utopian and dystopian thought and practice are and have always been gendered. Utopia, memory and temporality often intersect in strange and surprising ways. Contributors to this volume include prominent experts in fields as varied as Development Studies, Cultural Studies, Women's Studies and Literature. This thematic issue of P: Portuguese Cultural Studies focuses on the interactions between critiques of colonialism and coloniality, and Brazilian studies. We have aimed at producing analyzes of Brazilian culture and society that address power imbalances and ideologies related to colonial expansion at current times of neo-liberal globalization. Our call for papers sought to elicit theoretical perspectives across disciplines well suited for an evaluation of Brazilian contemporaneity dedicated to its (re)thinking through fruitful (dis)encounters between Postcolonial theory and other critical traditions, namely from the South. We received excellent essays and have collected the most enticing in this issue. A timely appraisal of two major schools of contemporary criticism, postcolonialism and Deleuzian philosophy, Postcolonial Literatures and Deleuze establishes a new critical discourse for postcolonial literature and theory. It brings together prominent scholars from the field of Deleuze studies such as Réda BensmaIa, Bruce Janz and Gregg Lambert, some of whom explore the possibilities of Deleuze for postcolonial literatures for the first time in this collection, and established postcolonial critics including David Huddart and Nick Nesbitt, who examine the relationship between different postcolonial literary writers and the Deleuzian concepts of becoming, minor literature, singularity and the virtual. Responding to one of the most trenchant critiques of postcolonialism and Deleuze in recent years, Peter Hallward's Absolutely Postcolonial, the essays showcased in this collection demonstrate that despite the criticisms that have followed the poststructuralist-inspired postcolonialism of the mid-1980s to mid-1990s, it is through the philosophy of Deleuze that the revisionary force of postcolonial literature for society and the imagination, politics and aesthetics may be reconceived anew. Where postcolonial studies to date has been primarily concerned with the politics and analysis of representation, Deleuze's work focuses on difference, immanence, expression, and becoming, all of which problematise representation as a logic closely bound to 'identity'. Yet, beyond these apparent incompatibilities, this collection argues that at a fundamental level Deleuze's commitment to a philosophy of difference without binary divisions and 'othering', his imagining of a new understanding of the relationship between past, present and future, as well as the value of his notions of becoming and the virtual, offer a set of critical concepts that, when applied to postcolonial theory and literatures, inspire a rethinking of the key issues that have come to dominate the field. 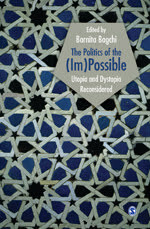 Employing Deleuze in the study of postcolonial literatures, this collection, on the one hand, reinvigorates a mode of analysis at a time at which it is increasingly subject to criticism and re-evaluation, and, on the other, to make more visible questions and issues that have been little explored by Deleuze scholars. LORNA BURNS Lecturer in English at the University of Lincoln, UK. Previously, she was a Postdoctoral Research Fellow of the Institute for Advanced Studies in the Humanities at the University of Edinburgh and has taught at the University of Glasgow. She is author of the forthcoming Contemporary Caribbean Writing and Deleuze: Literature Between Postcolonialism and Post-continental Philosophy (Continuum, 2012). BIRGIT KAISER teaches Comparative Literature at Utrecht University, the Netherlands. She is the author of Figures of Simplicity. Sensation and Thinking in Kleist and Melville (Albany 2011). Journal Moving World. A Journal of Transnational Writing, Issue 11.2, 2011.
between the camel-boy and the shepherd? Times have changed, they say, this is a new Germany. snarls at you on New Year’s. while her child played nearby. Her crime? der, die, das, die, der, das. in a cool, dry place. holding identical cups of elaichi chai. over a slice of walnut cake. Rakhshan Rizwan was born in Lahore, Pakistan and then moved to Germany where she studied Literature and New Media. She completed her M.A in British, American and Postcolonial Studies from the University of Münster and is currently a Ph.D candidate at Utrecht University in the Netherlands.